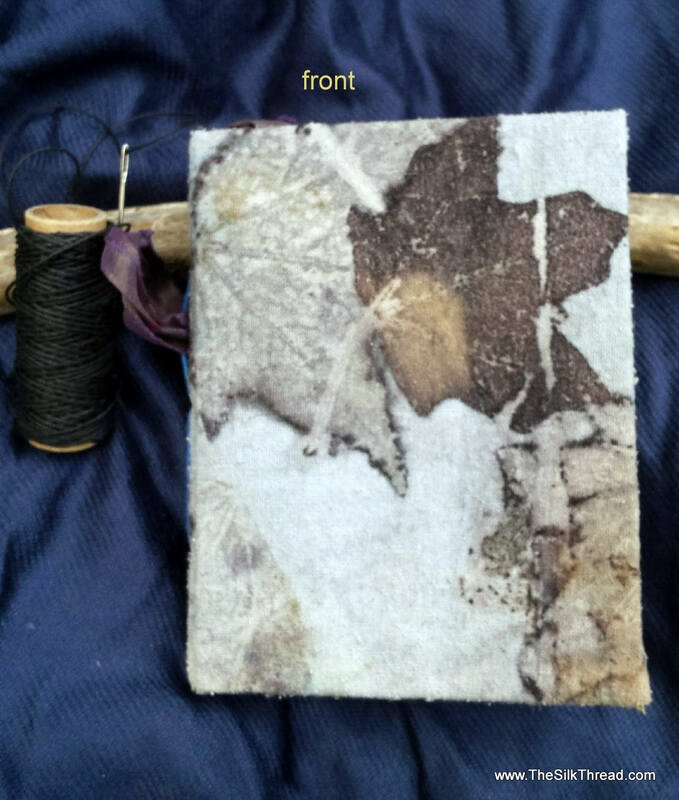 - For this journal: I first Ecoprinted on heavy silk noil for my prints when making my silk garments. I recycled the extra on the front, back and inside cover designs of my book. Then attached the fabric to acid free chipboard. The design is from the actual plants that I used in the process with a hint of blue from indigo.